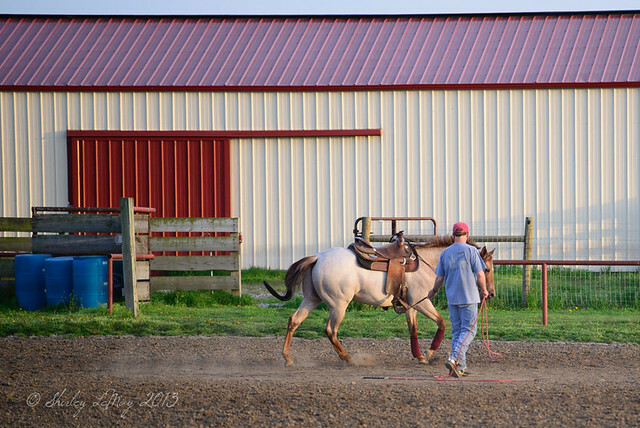 One of the trainers at the stable, Bruce, is lunging his horse in the outdoor arena. Parts of this arena are dry enough to work the horses. 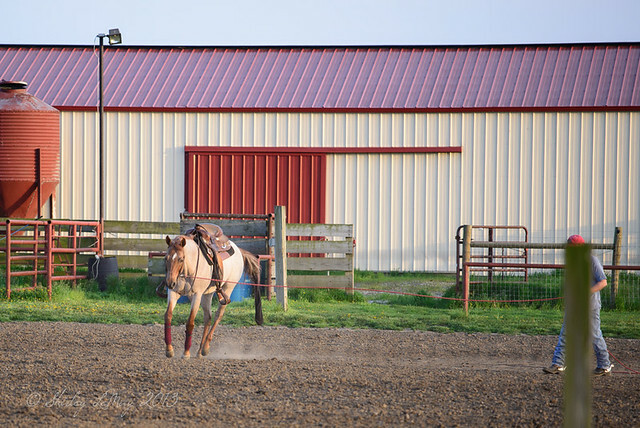 Lunging allows a horse to be exercised without a rider on its back. A long "rope" or lunge line is attached to the horse's halter and a whip or hand commands are used to direct the horse's movement. The horse moves in a circle around person holding the lunge line - it is a way for the horse to be controlled by a rider not on his back. My daughter's horse, for some reason, refuses to be lunged. He just stands there, and if he does get going, he trots for a bit then stops. We've even had the trainer try it and Caesar is pretty stubborn in this regard. Oh well, maybe he prefers to be ridden instead. And some more from the stable - this cow cracks me up. I'm safe behind a fence and although I'm sure they wouldn't hurt a fly, those horns are very intimidating. He was trotting towards me, maybe because he thought I had a treat for him to eat. If you want to see some more horse themed photos, head over to Sherry's Blog - From all Directions. I love that cow too Shirley. Wouldn't you love to know what she's thinking? Hi Shirley - I went for the "more" this week for my posting. Thanks for including a link back to me in your blog! Have a good week. 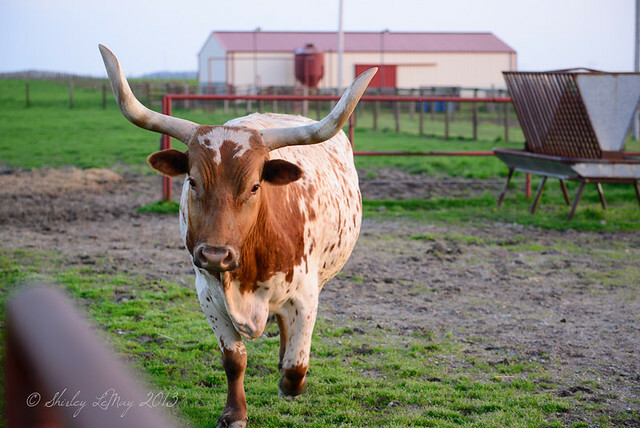 I love longhorns -- there's a farm not too far from here that raises them. This city girl loves your pictures on Wednesdays. Love the longhorn! I've seen this done before (lunging), but never knew what it was called. Those horns are scary, but those eyes are sweet. Have a wonderful weekend, Shirley! Beautiful horns on the cow...intimidating for sure though. Have a wonderful weekend Shirley!